Hello Everyone! My name is Judy Crescenzo and I’d like to welcome you to my site! It is an amazing time to be alive on planet Earth. What with volcanoes erupting, earthquakes all over the world quaking, floods, and now another disaster with the explosion and oil slick in the Gulf. “The End Times” take on a new meaning, as the world changes beneath us. What can you do? No matter where you live on our planet, you can become very conscious of what you fear and how to take action because of it. We are learning our true priorities now, and letting go of what doesn’t really serve us anymore. We are maturing as a people, and learning we must care for each other in order to move forward. Be proactive in your life, reach out to your family, neighbors and community. Grow and change where needed, and enjoy every moment! 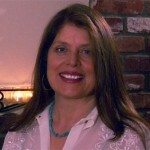 Our host, Judy Crescenzo welcomes you to Skypatterns Skytalk. Please comment and ask questions.